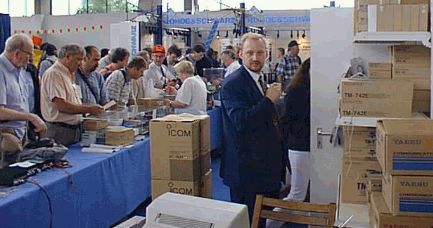 As in the past years, I visited the 1997 HAM RADIO exhibition in Friedrichshafen. 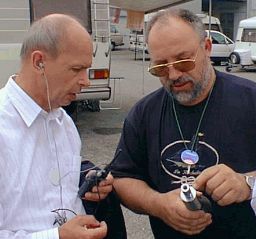 The HAM RADIO is the second largest ham radio fair in the world after the Dayton Hamvention. 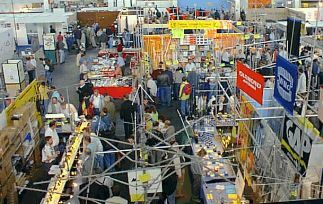 On three days about 20,000 visitors came to Friedrichshafen. 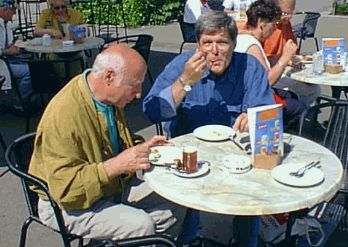 There you can really spend a lot of money . . .
DF3YM brought along his digital camera, I had my notebook with me. So we could save some pictures on the hard disk. Here some impressions from the fair (hall 1). 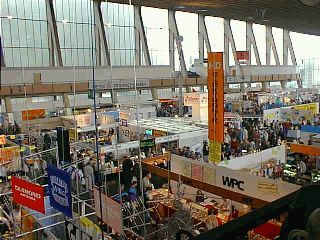 Three days on an exibition are really exhausting, especially on the flea market there was a lot of crowding. 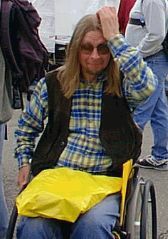 But even on the third day one always discovers something new . . .